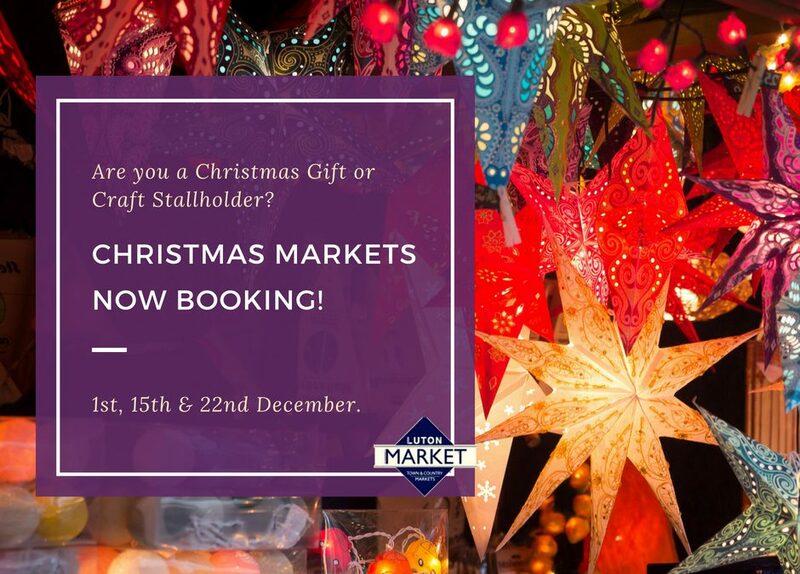 This year we will be hosting our very own Christmas Craft & Gift Markets on 1st, 15th and 22nd December. The Indoor Gift Markets will run 10-5pm on the above dates. Stalls are £15 each (6FT maximum) and spaces are limited on each day. A 6FT table and 1 foldable chair is supplied on the day. Please download the application form below for more information. All forms must be returned to lutonmarket@townandcountrymarkets.co.uk. Regretfully, we cannot accept hot food traders and will only accept a limited number of each business type.